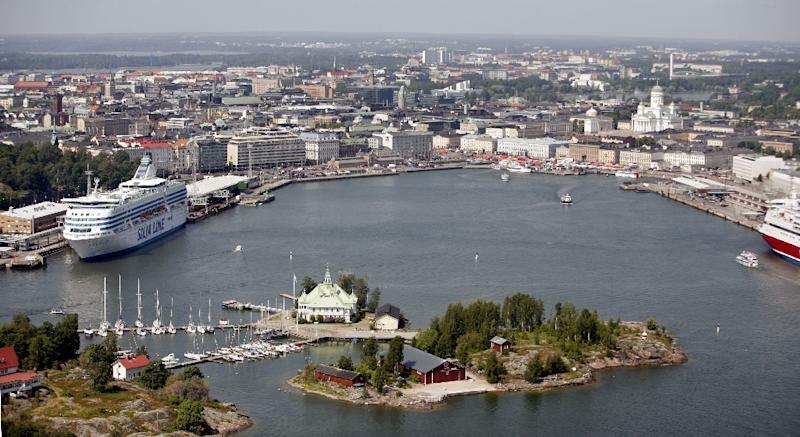 Helsinki (AFP) - A "highly exceptional" surge in radioactivity detected over Finland's capital Helsinki was traced Tuesday to a company sharing a building with the headquarters of the nuclear regulator investigating the mystery. In a bizarre twist, nuclear safety regulator STUK said in a statement that caesium-137, a radioactive isotope of caesium, had been tracked to the basement and garage of the very same building where it has its offices. "In the same building there is also a company that deals with low-level radioactive waste," STUK said. The agency downplayed the incident, saying the area affected was limited and had been quickly identified. Tarja Ikaheimonen, head of radiation surveillance at STUK, had told AFP earlier that the surge had posed no danger to human health. "The detection was highly exceptional but from a nuclear safety perspective, this level of caesium does not have any effect on human health," she said. She said 4,000 microbecquerels of caesium-137 per cubic metre of air were detected between March 3 and 4 -- a thousand times more than usual but only one-millionth of a level that would require people to shelter themselves from the radiation. One day later, on March 5, the amount of caesium was back to 12 microbecquerels per cubic metre of air. "It means the level of radiation is down to a normal level," Ikaheimonen said. The nuclear safety regulator had been baffled by the surge, saying earlier there was no obvious source for it as no accidents had been reported in Finland. Measurements from its other detection spots around the country had not revealed similar anomalies during the same time period. Radiation from the 1986 Chernobyl nuclear power plant disaster in Ukraine continues to be detected in Finland occasionally, when heavy winds lift radioactive particles from the ground into the air. But Ikaheimonen had said last week's levels were too high to be explained by the old fallout. Finland has two nuclear power stations with a total of four reactors, but neither had reported any anomalies. Caesium-137 is used in certain types of industrial production, hospitals and research centres.